Before Julie Doucet’s “Dirty Plotte” mini-comix started getting published by Drawn & Quarterly, she was doing it DIY from the Plateau-Mont-Royal were I was also living. 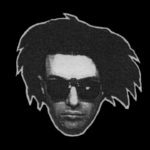 Late-eighties, I would bump into her sometimes at Bar Bifteck & she asked me to contribute something to a new mini she was doing with Martin Lemm. I bashed out this story about two moms fed up with their dysfunctional family life who decide to form a rock band, then hand-delivered it to Julie down the street where she was assembling the rest of the issue on her kitchen table cluttered with artwork & drawing materials. Original art for sale @ 150 bucks. More deets below or contact me for info. (To see image full-sized, click on it to open in a new window & use the magnify function). Original art for sale for $150.00 CAD. Includes two 7.5 X 12 inch pages of original finished B&W inks on paper, signed & dated by author/artist Rick Trembles in pencil on the back. Postage & framing not included. Motion Picture Purgatory Volumes One & Two available at FAB Press. For original art info, contact Rick Trembles @ ricktrembles (at) hotmail (dot) com. 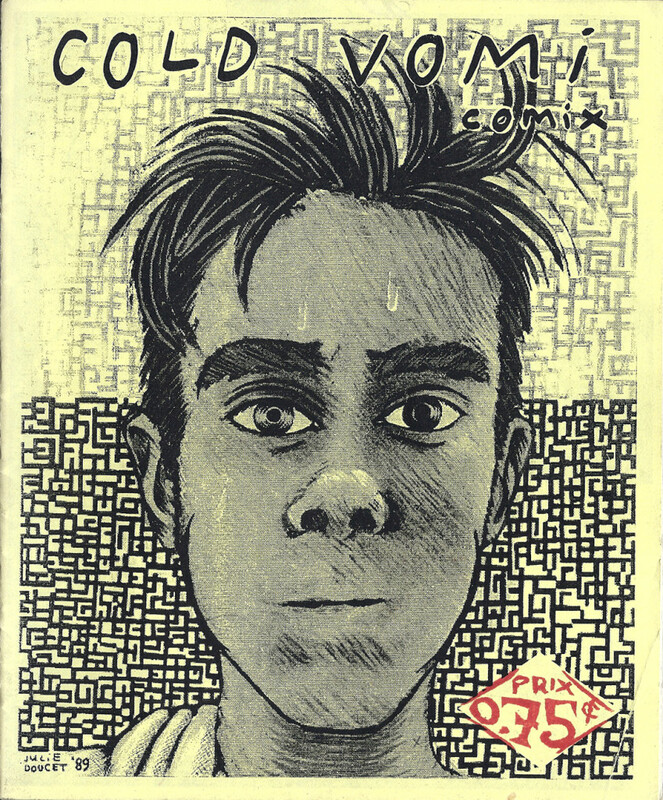 Cold Vomit Comix (1989) front cover drawing of Martin Lemm by Julie Doucet. 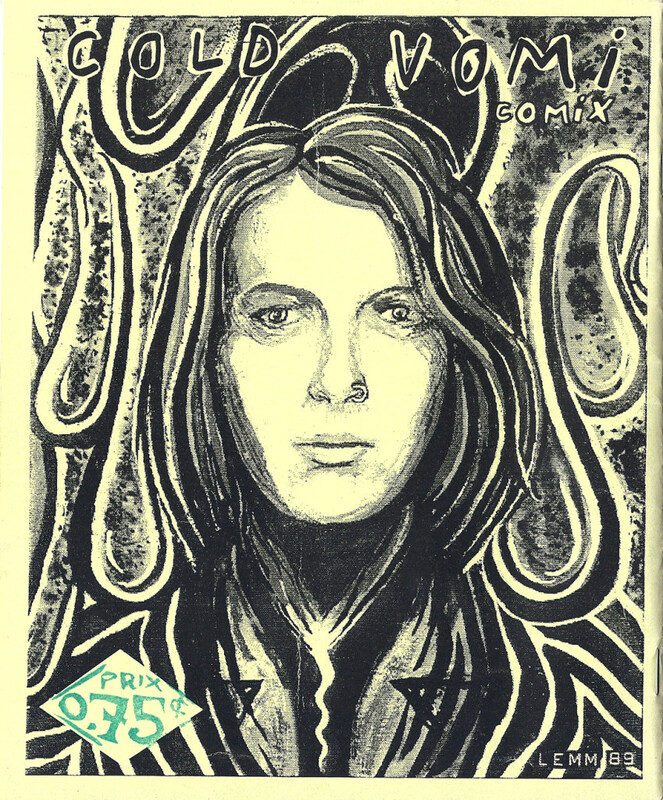 Cold Vomit Comix (1989) back cover drawing of Julie Doucet by Martin Lemm.